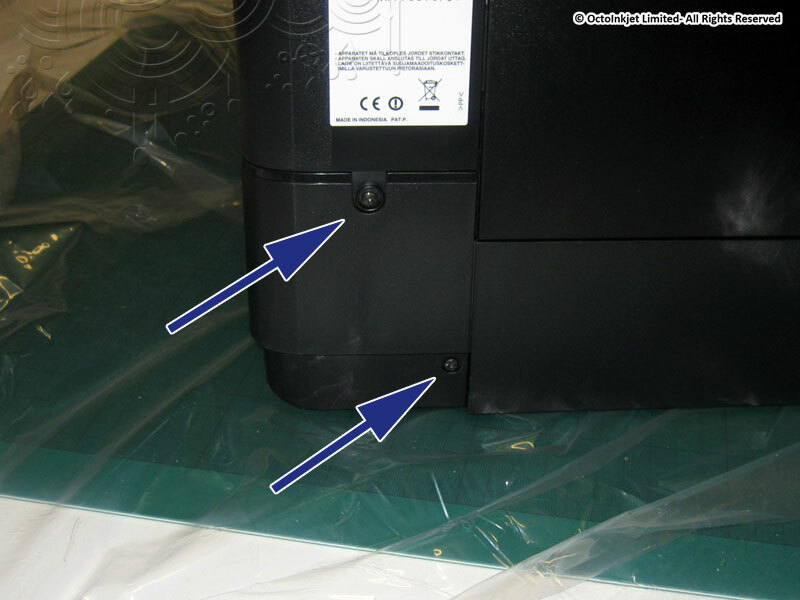 Remove the top and bottom screws to release the waste pad holder and base cover. 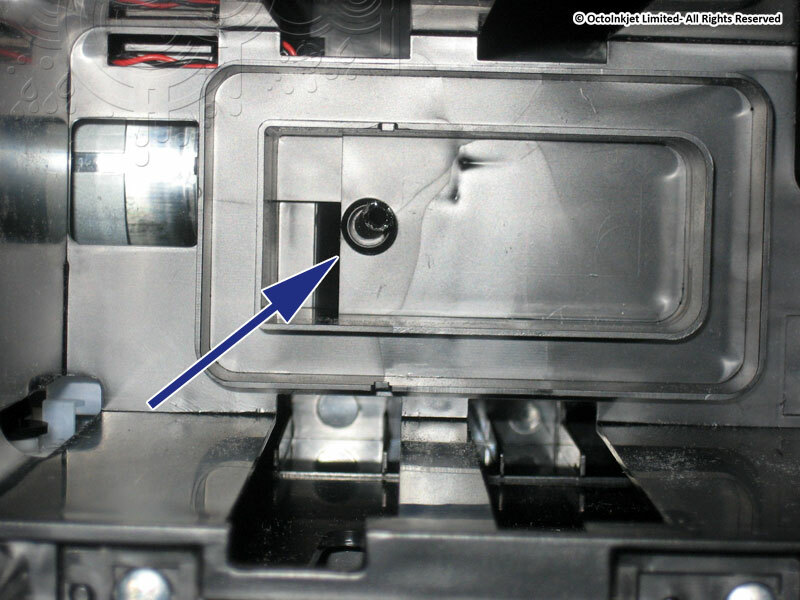 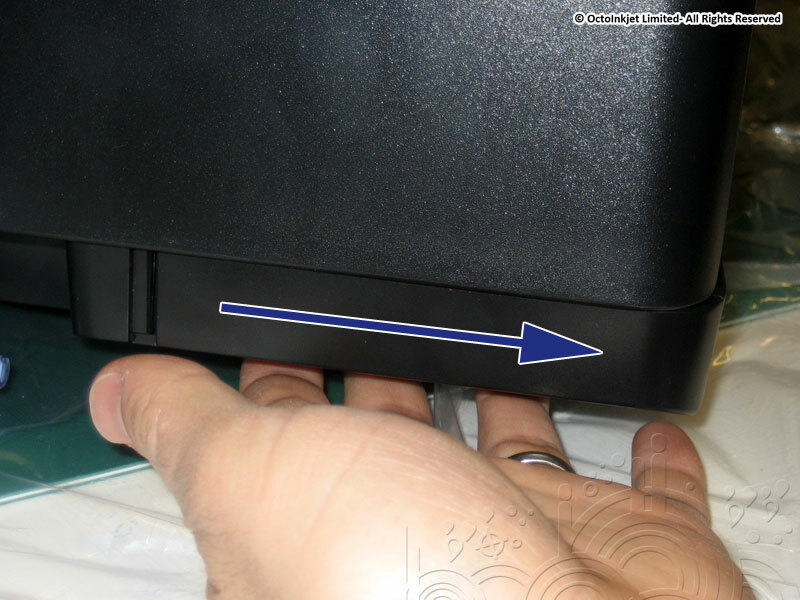 Slide the base cover to the back of the printer as shown by the arrow. 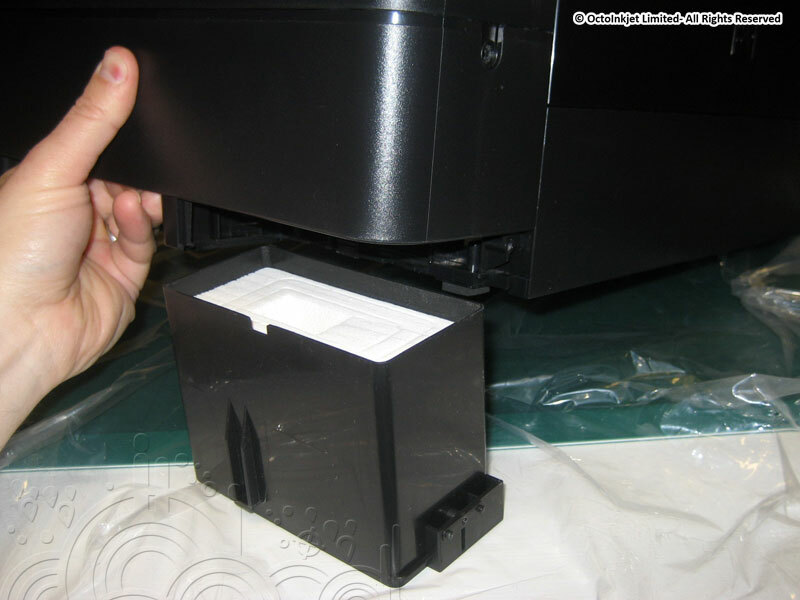 From below, looking up into the area vacated by the waste pad holder. 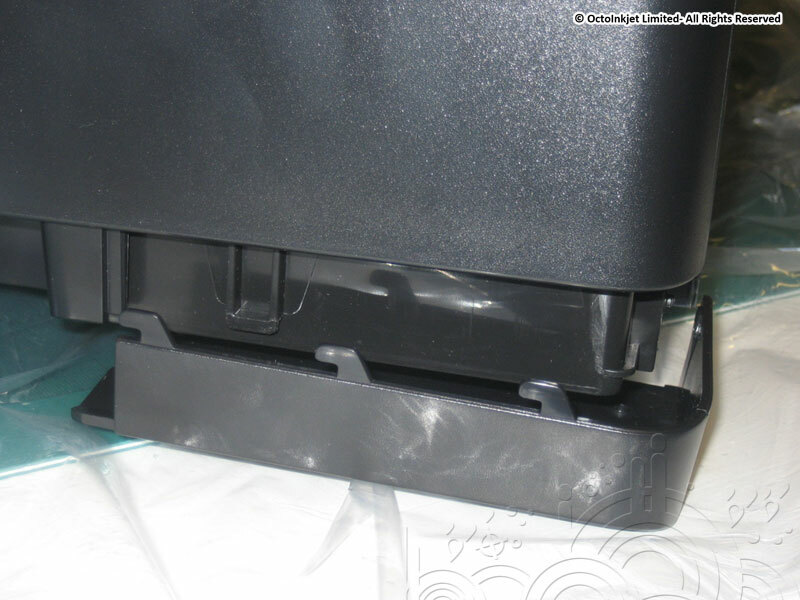 © Copyright 2014 - OctoInkjet Ltd.